Christmass is a feast of the heart. It reveals what the heart of God is like. It was God who gave us the gift of Jesus and at the same time reveals to us what the human heart is capable of, for Christmass causes us to open our hearts to God and to one another. In the Old Testament we see God speaking words to us through creation; through the prophets; and finally in the WORD MADE FLESH – Jesus. Jesus did not just ‘drop in’ for he came and lived among the people as one of them. He knows what it is like to be human – what makes us laugh and weep; what makes us fall and stumble, then rise and go on. Maximilian Kolbe, a Franciscan priest, was arrested by the Gestapo in February 1941. Three months later he was transferred to Auschwitz, where he quickly won for himself a reputation for dedication to the needs of fellow prisoners. Towards the end of July a prisoner escaped from the camp. The camp Commandant was furious and declared 10 of his companions should die in his place. So he lined up a lot of prisoners and picked 10 men at random. The 10th man pleaded for mercy, saying he had a young wife and family to support back home. At this point Maximilian Kolbe stepped forward and offered to take his place. The Commandant agreed. True love goes beyond gifts and requires giving oneself. Had St Maximilian Kolbe not been with those men, he might have visited them in their death cell and given them advice or encouragement, but his presence with them was worth more than anything else, even though he wasn’t able to save them from their cruel fate. What Kolbe did was an astonishing act of love. St John says: “The Word was made flesh and lived among us.” This is a great mystery of love. In Jesus we see a God who loves us to such an extent that he came to live among us and shared our lives – and who, by giving himself willingly and sharing our death was also able to overcome the lasting hold it had previously had. St John continues: “We should be willing to share with others the love we have received so generously.” Very few of us are called to make the supreme sacrifice and die in the place of another, but may we all be open to Christ this Christmass, see him in the person of our neighbour – whoever that may be – and show that same self-giving love as he did. Happy Christmass! Finally prayer for the dead. A number of Requiems are offered during November. Please consult lists in Church and add any person you want to be remembered by name. Friends of St Mary’s Boxes will be blessed on Sunday 25th October – all which help keep St Mary’s intact for the future. October has been called the Month of the Holy Rosary. The intent of the Rosary is always obedience to the Word of God and a life that puts into practice the Will of God. October is not just about the dedication of our Church building but ourselves, as we must ‘give birth’ to the Word of God in our lives in order to help spread that Word to others in the world. One of our chapels in St Mary’s – the former South Porch – is dedicated to the Holy Cross – the Cross of Christ. On Monday 14th September we celebrate Holy Cross Day, when we recall Christ’s death for each of us for forgiveness of our sins. In Old Testament times a Hebrew man would seek forgiveness through sacrificing an animal. He would take a young lamb to the Temple in Jerusalem. This lamb had to be perfect and free from blemishes. The man, who had done something wicked and wanted to be rid of his guilt, thought he could find forgiveness only by sacrificing the lamb. As it was killed, the Hebrew man laid his hands upon its head and confessed his sins. The blood was poured before the altar. This blood represented the lamb’s life and its fat was burnt as a peace offering. When it was over, the Hebrew man went home with an easy mind, supposing his guilt had been removed. This sacrifice of animals was make-shift, in that it brought a little light for people for a short time in a dark world. The world was dark because people, who had been given free will by God, chose to turn their backs on him and follow selfish paths away from him; they chose evil rather than good and moved further away from him. This evil – sin – led away from the light to the darkness of death. In the fullness of time God became man in the person of Jesus, who, being perfect, was the only person who could build a bridge between man and God. Jesus is the Lamb of God – the perfect sacrifice once and for all. God didn’t require that sacrifice; he was, in fact, the victim of it, but its perfection signalled the end of any further need of sacrifice as sin-offerings. All this was over 2,000 years ago when Christ died on the Cross. We might and will go on being sinful, but a way of forgiveness has been opened. Jesus, the Lamb of God is food for our souls. So we do indeed make Christ’s sacrifice of his own life on the Cross present here and now when we receive his Body and Blood in Holy Communion when, having been strengthened by them we go out to be Christ in the world in which we live and pour out our lives in the service of others. On the last weekend of September – 25th – 27th - we observe Harvest Thanksgiving. The bulk of harvest gifts will go to the Norwich Night Shelter for the homeless run by St Martin’s Housing Trust. As well as tinned foods we need fruit and vegetables, which are made into soups and casseroles. On Sunday 20th September blankets, good clothing and toiletries will be blessed. These will also be given to the Norwich Night Shelter. No doubt you have all heard the story of Snow White. She lives with a beautiful queen who has a magic mirror. The queen looks into it and says, “Mirror, mirror on the wall, who is the fairest of us all?” The mirror says, “You are the fairest.” The queen is angry and tries to kill Snow White by giving her a poisoned apple. She takes one bite from the apple and falls down as if she were dead. By chance a prince comes to the house, removes the piece of poisoned apple and Snow White is restored to health. They marry and live happily ever after. There are parallels in this story with the Bible, for the queen is like Eve in the first book called ‘Genesis’. Eve gave poisonous fruit to Adam and ultimately they both died. Eve was self-centred and refused to listen to God. She knew the fruit was forbidden. This shows mankind’s desire to give glory to him/herself and not God and put him/herself in the centre of the universe, just like the queen in Snow White. The Assumption means that Mary was taken to heaven (like Elijah in the Old Testament). It does not mean she did not die, but that she has reached the final state of glory in body and soul with God in heaven. Let us remember Mary is a model disciple for the Church to follow, for she sums up in herself all the Church ought to be. Mary, the second Eve, was open to God, whereas the first was self-centred. The first Eve brought death; the second brought life. The first brought separation from God; the second complete union with Christ in glory. Mary is the model of what we can become if we let Christ live in us. We are very blessed to have the Friends of St Mary’s and its sterling work in raising funds for our very beautiful church. This will always be a very expensive building to maintain. This month, however, I must draw attention to its running costs, which are not covered by the constitution of the Friends. The total costs of running St Mary’s per year is currently £40,000. These costs include insurance (£3,000), heating (approx. £70 per Sunday), electricity, water, churchyard upkeep, worship expenses, travel (e.g. visiting parishioners in hospital and homes) and office expenses. This does not include money for special collections for Charities and Missions, in which both the parish and congregation have a tradition of being most generous. Last year we gave £1,931 for Christian Aid, £357 for Save the Children, £130 for the Church in Kagera, Tanzania, £129 for the Additional Curates Society, £206 for Crisis and £206 for Shelter. Many people give ‘in kind’ for flowers and the Stowmarket Food Bank. All of this is important and we want to continue to encourage this, but the gap between our income and expenditure is getting wider and the only way we can make good this deficit is to call upon our dwindling, very modest reserves. The church is here for all in this parish. Unlike a business, we can’t raise costs, but depend entirely on people’s generosity, so we are appealing to you all, as you may wish to give to your parish church whether you worship there regularly or not. You may be able to make a Standing Order so your giving is committed and regular. Or if that is not suitable for you, but you still wish to give, we can supply envelopes for every week of the year. Another possibility is giving a donation to sponsor heating, lighting, wine, bread, etc. (Gift-Aided, if you are a tax payer). Finally, please think about leaving money to St Mary’s in your Will. We can supply further details and suggestions and will treat any enquiries in confidence. Thank you. June is traditionally called ‘the Month of the Sacred Heart’ – the Sacred Heart being an image of Jesus’ love and forgiveness for all of us. The first and deepest kind of healing that Christ brings us is forgiveness for our sins. We so often pay lip-service to the words that Jesus died to take our sins away, but we don’t live as though we believe it. 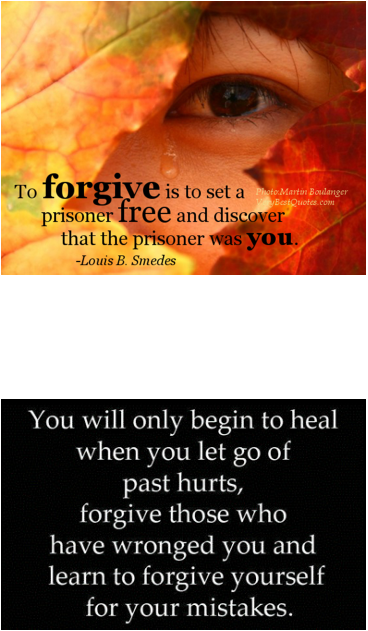 If we forgive, we will be forgiven, but all too often we ourselves block physical healing through resentment and lack of forgiveness. St James, in his passage on praying for the sick says: ‘Confess your sins to one another and pray for one another and this will cure you.’ (James 5 v 16). The most important repentance is of bitterness and resentments, which many Christians often do not recognise as sins in themselves. Love is the best remedy to break through coldness, hurt and bitterness that prevents God’s healing power from flowing into us. June is also the month we keep the feast of Corpus Christi – a day of thanksgiving for Holy Communion. In this service (also called the Eucharist, or Mass) Our Lord commended us to continue a perpetual commemoration of His death until He comes again. Of course it is Christ who is the real priest at every Mass and offers Himself under forms of bread and wine. He feeds us with His body and blood (see John ch.6). His presence doesn’t depend on us – our faith, our holiness, our feelings, but entirely and alone on Him. Bread and Wine may seem such an ordinary, lowly form for God to come to us, but it is a sign of His great love for us; if He had chosen a more spectacular way, it could be frightening or forceful. This is why Mass is said daily in our parish. The early Church celebrated it daily (Acts 2 v 46) and we, who claim to be part of the Apostolic Church, follow their example. I believe that Christians and people of goodwill will pray that every person who is elected will realize their need of God’s guidance and strength; that Christian candidates will be bold and eloquent in how they respond to issues and questions with important and ethical implications. We must pray for our Queen as she calls the leader of the winning party to Buckingham Palace and invites him to form her new Government. All details of these days of prayer are on our monthly calendar and weekly bulletin. We need to pray, too, for the media, newspaper editors and broadcasters, to be discerning and fair. During May we keep the great feast of Whitsun, or Pentecost: ‘When the day of Pentecost came, they were all together in one place…’ (Acts 2 v 1-3). 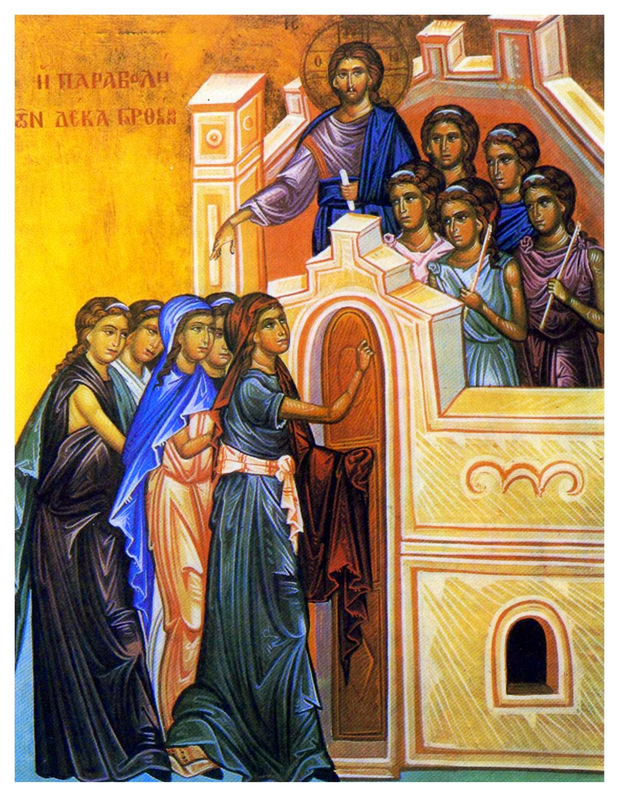 The Apostles, Mary and 120 disciples ‘were all filled with the Holy Spirit’ (Acts 2 v 4). This story echoes Mary’s continuous, unrelenting response which we first hear at the Annunciation when visited by the Angel Gabriel, and her constant commitment to Jesus as a disciple of the new family who hears the Word of God and obeys it. May is ‘Mary’s Month’ when nature bursts into new life and we are called to follow her example and experience the New Life of Christ through the power of the Holy Spirit. Our ability to receive the Holy Spirit is in proportion to our intense desire and preparation for Him. How big a ‘container’ will we bring to this ‘Niagara Falls’? A thimble or a barrel? The Holy Spirit will always overflow whatever container we bring, because the gift goes beyond the measure of preparation, but we choose the size of the container. Jesus said: ‘The Holy Spirit is given to those who ask,’ and having asked, we must be open to receive. What a contrast there is between the kind of formal religion of just going to church and what should happen to us at Easter. We are told in the Gospels that Jesus appeared to His disciples and the Power of Easter began to work miracles in their lives. They ceased being despairing people and instead, everywhere they went they preached that the power of Easter works miracles in people’s lives. They believed again after doubting; they hoped again after despairing and they loved again after hating. Jesus’ resurrection invited them to open their hearts to New Life. Jesus’ resurrection invites us, too, to open our hearts to new life. It invites us to love again after our love has been rejected and to trust again after our trust has been betrayed. We need to look at Jesus’ disciples who believed after doubting and hoped after despairing. The power of Easter continues to work miracles in people’s lives wherever it is preached and wherever people open their hearts to it. The Good News of Easter is that Jesus wants to work miracles in you and me. The boy questioning his father hadn’t seen a change in his father’s life; there was no evidence he could see of new life in Christ. All of us need to ask what keeps us from displaying the Risen life of Christ more vividly in our own lives. A legend says that when Jesus returned to heaven the angel Gabriel asked him if all people knew of His love for them. If we let Jesus down, what we do at Easter is merely keeping an event which happened 2,000 years ago. However, if we respond positively, Easter will become an event today and every day. Let us do our best to try not to let Him down and then we will experience Easter now. 1. The Pharisees: They were austere, religious men studying God’s law and were convinced they were right. History has always shown such people are capable of appalling evil. The unconverted Paul oversaw the stoning of St Stephen. How often are we self-righteous about others whilst we have plenty of which to be ashamed? 2. Caiaphas: His concern was religious orthodoxy. In the past some Christians have burned people at the stake thinking it was a service to God. 3. Pilate: He wanted to preserve his high office and the Law at this time of unrest. He knew Jesus was innocent, but brushed off responsibility. Most of us know what is right but how often do we lack the courage to do it? 4. The soldiers were simply carrying out orders, but the Nazi leaders made the same excuse at the Nuremburg Trials when they tried to convince their accusers they were men of good character whose only crime was loyalty. How often do we blame other people for our mistakes or refuse to accept responsibility for our own sins? 5. 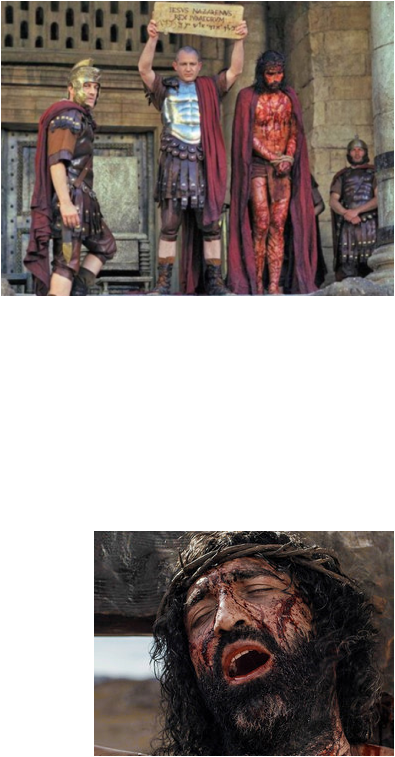 Judas: He was disillusioned and unable to live with the knowledge that he had caused the death of an innocent man. At times we all betray our friends and our ideals and also refuse to accept God’s forgiveness. 6. Peter: Weak and cowardly, he couldn’t admit he knew Jesus. Any one of us would probably have denied Jesus in those circumstances and how often do we fail to stand up for the Christian faith when it is ridiculed or attacked by others? 8. But what about Jesus? He shows the only way to overcome evil is by good and He loved us to the point of dying for us. Whether we like it or not, evil is in us all and it is only with Christ that we can truly be instruments of truth, justice, peace and love. It is a good practice to place our palm crosses through the arms of a crucifix to remind ourselves that though we have proclaimed Christ as King, we have crucified Him through our failings and sin. We all have traits of the Pharisees, the soldiers, Caiaphas, Pilate, Judas, Peter and the crowd in us. Let us pray this Lent we may have more of Christ shining forth in our lives. At the very beginning of His ministry, in His own home town, Jesus preached these words from the prophet Isaiah: “The Spirit of the Lord is upon me, because he has anointed me to preach the good news to the poor. He has sent me to proclaim release to the captives.” As Lent approaches (Ash Wednesday is 18th Feb.) I want us to think of getting rid of our rubbish. Every house has a bin for rubbish but we need to get rid of the rubbish in our minds and much mental refuse is entirely in our control. One category is negative thinking – fear, anxiety, worry – which all deny the truth that God loves us. “Perfect love,” says St John, “drives out all fear.” That is to say, if love is allowed to permeate our minds, there is no room for fear. Anger, bitterness, hatred and resentment are negative. They deny the qualities of God’s Love – joy, peace and calmness. It is well-known that worry and mental strain, bitterness and resentment bottled up can be a source of physical illnesses. This kind of refuse so often lives in the unconscious mind and it must be regarded as unwanted rubbish for the bin. It is often said that the hardest person to forgive is oneself. Guilt is one of the subtlest forms of destruction in a person’s life and all too often a person can think he or she deserves to be sick or to suffer. This can then lead on to the thought that God is a God who punishes, or the sufferer may feel far more that he or she needs to be punished than to be forgiven. 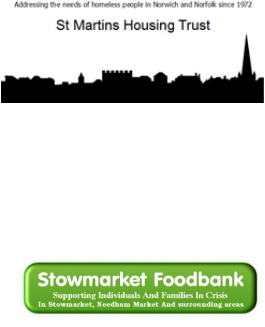 It is more important than ever that we continue to support the Norwich Night Shelter, ‘Crisis’ and ‘Shelter’ and also the Stowmarket Foodbank. I know I have written about this before, but there are always people who have not heard it. The word ‘Epiphany’ comes from the Greek: ‘a showing / revelation / appearance’. This celebration is the commemoration of the arrival of the Wise Men. It shows that Jesus, the Messiah, has come to all people and not just the Jews. The Wise Men went to ‘the House’ (Matthew 2 v 11) – not the stable – and it was sometime after the birth of Jesus – at least more than 40 days because Mary & Joseph had no wealth to pay for a lamb when Jesus was presented in the Temple, which would have been the case had she had the gift of Gold. Instead she paid the poor person’s offering of pigeons. It is a tradition to bless chalk at Mass & mark the lintel outside the front door of your house: 20 + C + M + B +15 (Latin: Christus Mansionem Benedicat = May Christ bless this house. It also represents the first letter of the traditional names of the Wise Men: Caspar, Melchior, Balthazaar). The Angel of the Lord brought the good news to Mary. And she conceived by the Holy Spirit. The third 3 rings: Because she heard and responded, Christ is born in her.